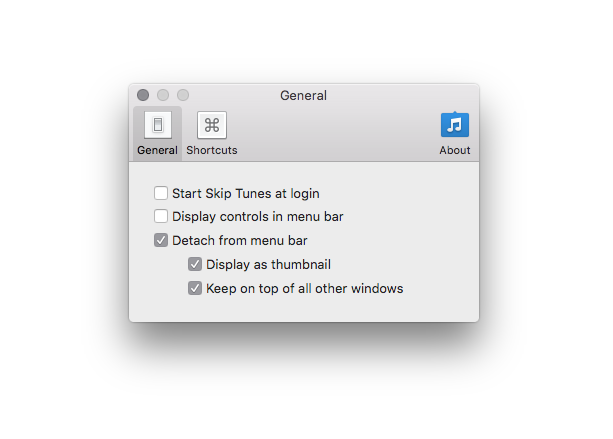 Q: Is it possible to “detach” the album art window that displays from the menu? I’m interested in having it on my desktop. Yes, absolutely. With Skiptunes it’s a simple option in the settings. Keep on top of all other windows.